What's the Best Time to Take Creatine? Before or After a Workout? Home » Creatine » What’s the Best Time to Take Creatine? Hey guys, Paul from Ultimate fat Burner here and today I’m going to answer a very common question that most new creatine users have and that is What’s the best time to take creatine, before or after a workout? I’ll be right back with the answer in just a couple of seconds, stick around, don’t go anywhere. So let’s get right to it and answer the question, What’s the best time to take creatine, before or after a workout? Is is Post Workout, Like Everyone Says? You’ve probably heard numerous workout gurus tell you that absolutely positively without a shadow of a doubt the best time to take creatine is after your workout to enhance uptake. But here’s the thing… almost every single study performed on creatine monohydrate, doesn’t specify a dosage schedule. In other words, these studies don’t confirm that taking creatine after a workout is any more effective than taking it before, or at any other time of the day for that matter. Well, clinical studies are expensive and they take time to perform. And when you add new parameters to a study you immediately increase the study’s complexity. For example, in order for me to conclusively prove that taking creatine after a workout is most effective, I’d need at least one – or perhaps two other control groups to compare the results to. In other words, I’d need one group of people taking creatine after their workouts, one group taking it before their workouts, and perhaps one other group taking it randomly throughout the day. And then of course, I need to track the results of all 3 groups to determine which dosing regimen in the most effective. Not only does the study become exceedingly more complicated, time consuming and expensive, but the likelihood of human error also increases. What do I mean by human error? I mean people forgetting to take the supplement when they’re supposed to. So that’s why most studies don’t specify a dosage schedule. Now you’ll notice I did say “most” studies don’t. There’s a relatively new study – it’s very small – and I’ve included a link to it below – that does confirm that taking creatine post workout leads to better results, likely as a result of more efficient uptake. Is this Question Answered for Good? However, because this was a relatively short study performed with a maintenance dose only and no loading phase, I’m not entirely convinced this question has been answered for good. Well if you repeated the experiment and had both groups take a 20 gram per day loading dose for 5 days you might not see ANY difference in performance, since peak muscle saturation would have already been reached, and the enhanced absorption effect of post workout supplementation would be much less prominent. At any rate, that’s neither here nor there for now. So let’s the answer the question; What’s the best time to take creatine, before or after a workout? So What’s the Answer, Paul? Honestly, the great thing about creatine is that you don’t have to sweat it. It works no matter when you take it. If you want to take it post-workout, by all means do so – it might give a slight edge – the other benefit of post workout supplementation is that you can get away with mixing up your creatine up with some simple sugars to further enhance absorption. Taking it post workout is probably the best strategy for you if you don’t want to mess with a loading phase and want to keep the maintenance dose as low possible. If on the other hand you want to take it at some other point in the day, you can do that too. I wouldn’t take it before a workout in case you get some stomach upset – which some people can get. Remember, creatine is something you take daily to maintain muscle saturation, it isn’t something that needs to be taken before a workout in order to work – like your preworkout, for example. You just need to focus on taking it every day. Alright guys, thanks for watching, hope you found that helpful. If you have any comments, please leave them below, and I’d love it if you could give us a thumbs or share this video. And if you haven’t subscribed to this channel yet, what are you waiting for? You’ll be updated whenever we post new videos. Thanks again for watching and I’ll see you really soon. Click here for a full list of our creatine videos! Hey! Want to get updated whenever we post new videos? If you’re not a subscriber to our YouTube channel, why not click here to subscribe now – it’s completely free and you’ll be updated when we post new videos. 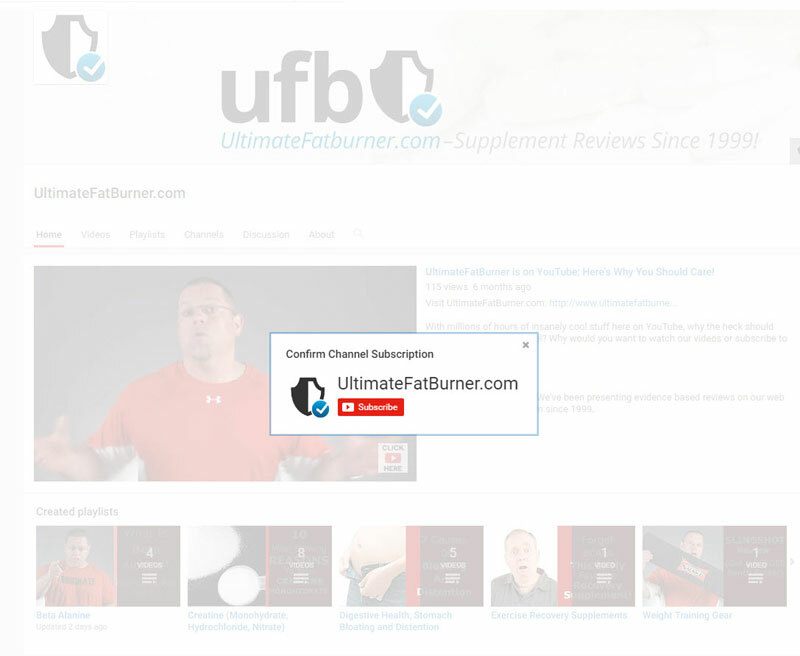 Want to check out all our creatine videos? Click here!